There's a new rumor going around today that Apple is mulling expanding their music store on to Android, and that they are planning a streaming service to compete with Spotify. Apple has opened exploratory talks with senior label executives about the possibility of launching an on-demand streaming service that would rival Spotify and Beats Music, according to three people familiar with the talks. Apple is also thinking about adding an iTunes App for Android phones, the Google rival that has been growing faster than the iPhone, these sources said. The surprising discussions are part of a multi-pronged strategy to deal with the double-digit decline in U.S. download sales at Apple’s iTunes Music Store, the largest music retailer. For one thing, they've been ignoring Android and other platforms for years now, while they could have been profiting from it. And as I have pointed out in the past, Apple makes most of their revenue from hardware sales, not content. The apps, music, and other content in iTunes is there to support the hardware sales. "We thought about whether we should do a music client for Android. We put iTunes on Windows in order to sell more iPods. But I don’t see an advantage of putting our own music app on Android, except to make Android users happy. And I don’t want to make Android users happy." That is a 3 year old old quote from the late founder of Apple, so it might no longer reflect Apple's priorities. On the other hand, do you have any evidence that their priorities have changed? 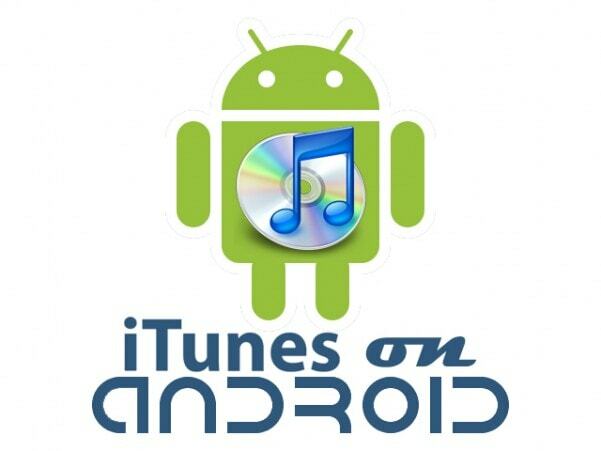 The question is, why would Android users want or need the iTunes Music App? I can’t answer that either. If anyone really wanted to buy from iTunes they could always do it from Windows and them simply transfer the songs, so i don’t see what this would add.